Everyone has got a little secret, everyone deserves a pleasant coffee break. Liquid Cat combines the the need for privacy with the taste of a good coffee, just like they make it in Voghera. 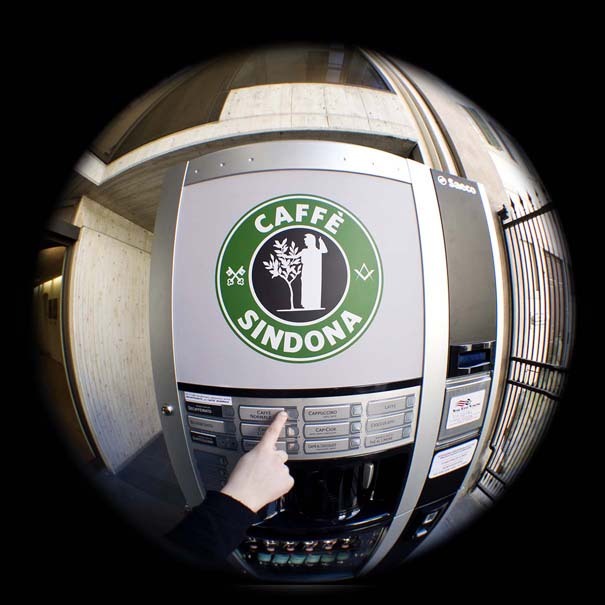 Caffè Sindona, the pleasure of shutting your mouth with a nice cup of coffee. The installation will remain freely visible until July 2010. Liquid Cat is in Milan, taking part in the micro-residency program at Radical Intention. Have a look here for updates. Our first installment of our video polyptych about the Balkans. 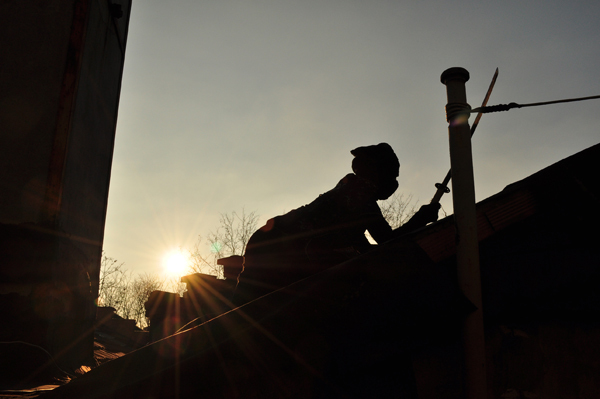 Hello there and welcome to our second instalment of our series on Tuscan Big Iron. We just came back from Bibbiena, a small city in rural Tuscany, where the last working and complete assembly of an Olivetti ELEA 9003 is still whirring and churning in a high school basement. The ELEA 9003, serial number 0000002 was leased to the Banca Monte dei Paschi di Siena in late 1960 and worked on bank accounts for circa 10 years. After that, when the machine was deemed obsolete and ripe for substitution it was donated by the bank to the ISIS Enrico Fermi, a tech high school, and one of the firsts in italy to offer courses in telecommunications and computer science. The monster, which draws 1KW for every 1KB of RAM, (that is 20 of both) was installed in the basement of the institute and was administered until 2001 by one aging IT guy. When the IT guy had to retire the machine worked almost perfectly. The “keeper” of the machine is now Stefano Del Furia, professor of computer science at the Fermi High. The institute, and professor Del Furia, are looking for a sponsorship in order to maintain the machine in working condition, the ELEA is complete with a full complement of spare parts and technical diagrams. The Olivetti ELEA 9003 is a milestone in computer industrial design. Its cabinets were designed by Ettore Sottsass and were revolutionary in terms of serviceability and user friendlyness. The human interface was designed by Tomás Maldonado. The Olivetti ELEA was also the first Italian commercial computer and one of the first fully transistorized mainframes in the world. In this country, like we haven’t already got enough problems, the police can kill you for 20 grams of pot, or just because they don’t like your face. In this country a medical doctor is willing to sign a death certificate stating, as cause, natural death while looking at a poor, beaten up, tumefacted, manhandled corpse. In this country police and secret service officers have blackmailed politicians and ordinary people alike, and thus enjoyed a status of superiority to the law. This mexican standoff has been going on for years. In Genoa, in 2001, hundreds of people have seen the true face of this regime. Police forces lack the cultural tools, are understaffed, underpayed, undertrained, underequipped. The apparatus is willing to cover-up. Politics connive. Liquid Cat is fed up with the general situation in Italy. And Liquid Cat is not alone. And not only in this country. This is the shape of things that went. The C.E.P. was the first electronic calculator built by an university in Italy. It was constructed for research purposes and financed with money intended to pay for a nuclear reactor, in 1957. We’re working on a project on the C.E.P. in the framework of Networking 2009, curated by Elisa Del Prete. The theme of this instalment of Networking is ‘memory’. The C.E.P. sits today in a former slaughterhouse in Pisa, now the Museo degli Strumenti per il Calcolo, its components no longer linked by power, data and air conditioning links.